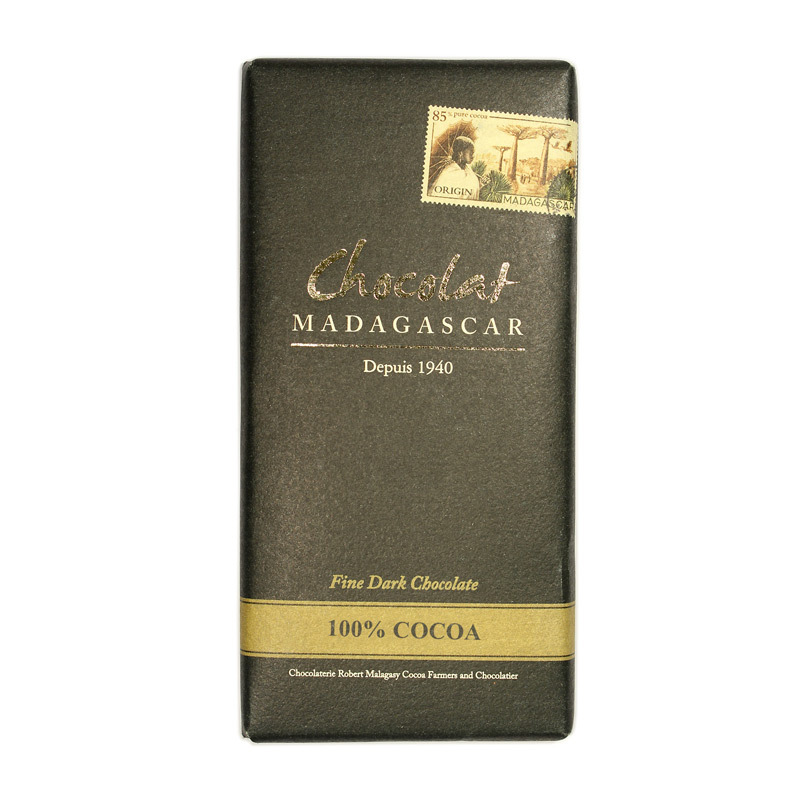 One of two major factories on the island of Madagascar, Robert produces chocolate that is widely available locally, but little known outside the island. This is a great first 100% cocoa bar. Its high Cocoa Butter percentage and typical Madagascan fruitiness complement the intense cocoa kick, ensuring you are not overwhelmed. Fantastic for those who would love to try 100% but are scared to dip their toe in the water. This bar achieved a Gold at the Academy of Chocolate Awards 2017 and a Silver at the Academy of Chocolate Awards 2016. This is my favorite 100% chocolate bar so far. I love the sweetness that comes through. I can see why it won a Gold award. I'm new to 100% chocolate and this was VERY easy to eat. As one of the other reviewers said, maybe too easy - by which I mean there is a risk of eating the entire bar :-) I got dark red and into black fruit notes - like a really juicy wine with just a hint of tannins. It was a bit like eating a fruit and nut chocolate bar without the nuts. Really delicious, I was disappointed it was out of stock when I went back to purchase more. Indeed, this is a very tame chocolate as for 100%. Maybe even too tame? The problem I found with it is that the taste is not really pronounced, so that 90% Zotter tastes much more powerful. Also, is starts pretty slowly, revealing its Madagascan fruitiness only at the end.